For a harmonious relationship between your cheeses and wines, try to think about their geography: products from the same area match perfectly. 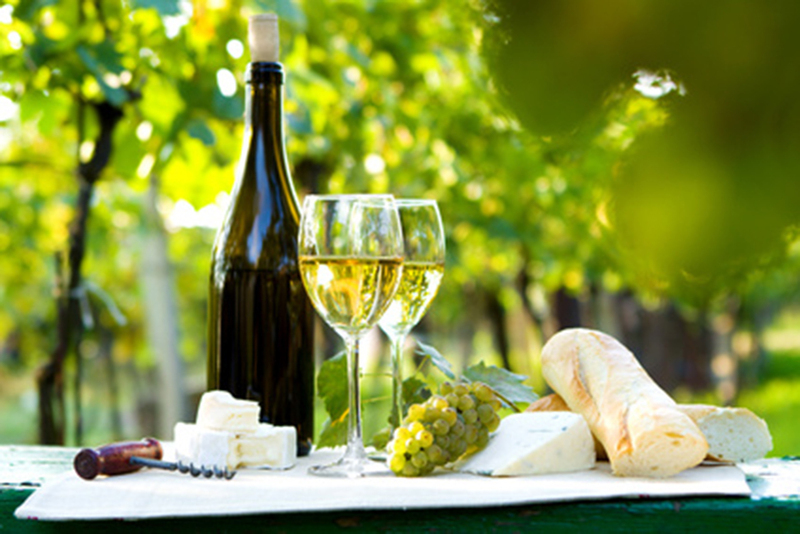 How well a wine and cheese will go together will always depend on the flavors of each but there are a few rules to help guide your choice: sweet white wines and reds go best with strong cheeses, while dry whites are best paired with soft cheeses. Remember that it is white wine that generally goes better with various cheeses. Do not be afraid to choose a more robust wine if the cheese itself is also strong. Fruity red wines that are not too tannic nor woody go perfectly (Burgundy from the Côte Chalonnaise and Côte de Beaune, Pomerol, Saint-Emilion). And do not forget Champagne, especially young blanc de blancs, as a change from red wine and to add sparkle and refinement to your food! These cheeses pair very well with sweet or dry white wines, such as Sauternes or Jurançon. These wines bring out the cheese’s flavor and create a balance of sweet and savoury to soften the cheese’s sharp tang. Pressed cheeses such as Comté are a good match for fruity red wines that are neither too tannic nor woody, such as Burgundy. Perhaps unexpectedly, they pair very well with beer – the air bubbles are a counterpoint to the rind, while the beer is less bitter thanks to the Comté. The choice is yours when it comes to new mixes of flavors!